TUESDAY, Jan. 30, 2018 (HealthDay News) — There’s a well-known crisis going on with opioid painkiller abuse, but new research reveals a sizeable chunk of Americans are popping far too many over-the-counter pain relievers, too. The researchers tracked week-long NSAID “diaries” from about 1,300 adults, completed between 2015 and 2016. All had taken an ibuprofen medication at some point in the month before completing their diaries. Many users said they’d either exceeded the prescribed daily limit of a single NSAID; taken two different NSAIDs together; or had popped a second dose earlier than indicated. Study author David Kaufman, director of Boston University’s Slone Epidemiology Center, noted that ibuprofen and other NSAIDs are among “the most-used medicines in the U.S.
His team’s findings “can help guide programs that will lead to safer NSAID use,” he said. What’s more, 11 percent of ibuprofen users reported exceeded daily dosage instructions at least once during the week. That figure hit 23 percent among naproxen users. Instead, Kaufman believes some consumers may simply decide to take an excessive number of pills — regardless of label instructions. But that behavior is “potentially modifiable with better education of users,” he added. Dr. David Katz directs the Yale University Prevention Research Center in New Haven, Conn. He said that “the nation’s highly publicized opioid crisis is really just a window to a less-publicized crisis of chronic, inadequately managed pain” among an unhealthy portion of the American public. One solution, according to Katz, is to boost “health literacy,” so that patients know the risks of taking any medicine. 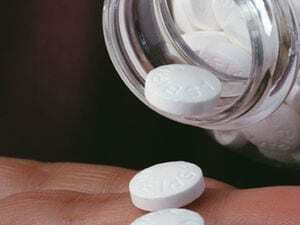 There’s more on NSAID safety concerns at U.S. Food and Drug Administration.